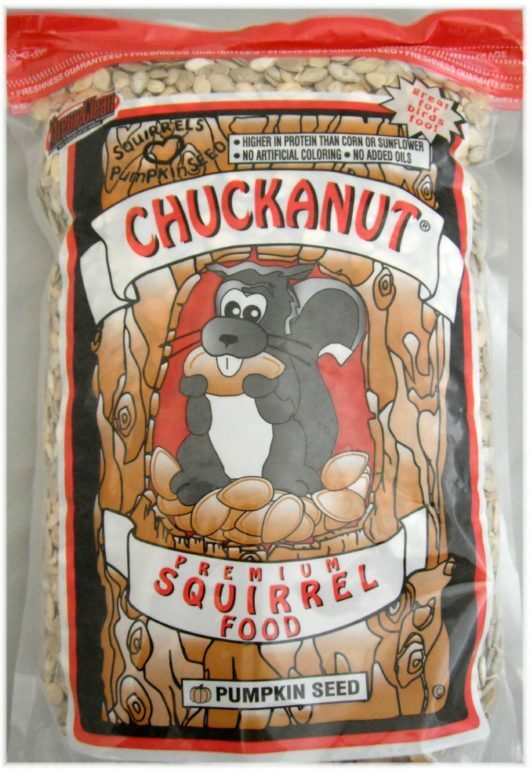 The most popular food for squirrels. 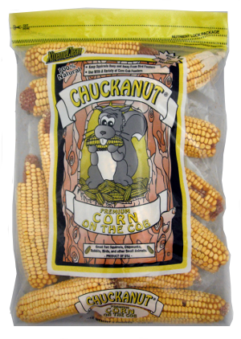 Squirrels will eat Chuckanut on the spot due to its soft shell, rather than burying food. Ingredients: Premium Dickenson Pumpkin Seed. Attracts: Squirrels, Chipmunks, and Rabbits. Great for birds too! 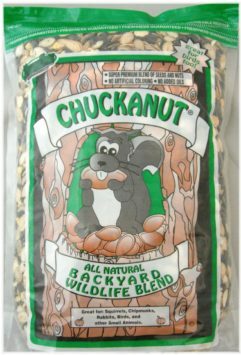 Feeder Type: Chuckanut Squirrel Feeder. Sizes: 3, 10, 20, and 40 lb. 3.0 lb., 40 lb. (4-10 lb. bags), 10 lb.